Our daughter Courtney was married on Saturday. When I can wrap my mind around all I felt about that day, I will share that in writing as well. But for now, I wanted to share a few thoughts. I took this photo in late April. In all our preparations for the wedding, we were also trying to spruce up our much lived in home, inside and out. I planted nasturtium seeds along our fence up to the place where the sunflower seeds would be thrown. I lamented how nothing was happening other than a few new weeds needing to be plucked from the earth. I had mostly given up hope but gave one last effort of watering and forgot about this plot of land, because of all the list making and such. One day, I pulled into the driveway and upon exiting my car, my eyes landed on green. Sprouts had pushed through my disbelief and emerged, like lily pads floating above a pond. The month of May in Portland brought very little rain. These conditions seemed ideal and my nasturtiums grew and then didn’t. But I left them alone as they don’t demand a lot of fuss or rich soil. By June, the plants seemed stronger and I felt confident they would be blooming to happily greet our visiting family. The week before the wedding, they were in full bloom. My parents arrived on Tuesday to begin the parade of wedding guests. On Wednesday morning, I opened a couple of wedding business related emails that contained miscommunications and anxiety began to crawl inside my stomach. Carl came into the kitchen from the backyard and asked if I had been digging in the nasturtiums. I looked at him puzzled and said no. As I stepped onto the patio, I could see small mounds of dirt, holes and nasturtiums strewn all about and a deep hole along one section of the sunflowers. An animal must have been searching for something unseen. Quickly I scooped up droopy plants and soil and tried to replace them and showered each plant with water, hoping to revive. It may seem silly but I felt unraveled by this discovery. The emails had brought stress and coupled with this annoyance, I felt overwhelmed. Time, however, does not stop or rewind. We marched on, tried not to grumble about misunderstandings because a wedding was coming! A wedding that no matter how hard and often I prayed, I could not lasso a glimpse of what it would be like. I couldn’t envision the collection of people who would be witnesses. I couldn’t imagine how we would feel as we watched two lives joined and families who live on opposite coasts united. The not being able to see caused me sleepless nights. It renewed my awareness of my need for control. What I know now is that early sight can obscure the full expanse of seeing a vision in totality. I was not supposed to peek into the future. I was to continue to walk towards the unseen and believe. I wasn’t given foreknowledge or foresight because I wouldn’t have believed what I saw. I wouldn’t have appreciated the beauty had I not held fists full of dirt that marred my mood and view. I wouldn’t have prayed as much. I wouldn’t have realized how important it is to ask for help. I wouldn’t have learned how sharing the load brings joy to the co-laborers and ease to my shoulders. We all need to lean on someone. I wouldn’t have opened my hands in surrender. I wouldn’t have appreciated beauty if it weren’t for the disruptions and destruction that crossed my path. If you are straining for a better look at a future vision, don’t fret, we all tend to want to crane our necks. This life is a mystery and it is littered with sights unseen. Lift your chin to the sky. Open your lips and let your held breath escape towards the heavens. Allow the buried seeds of your life to stretch from darkness to light, from a whispered hope to the glory of vibrant blooms marking your path. I will never forget handing a recently read and loved book to a friend only to have the book returned a few weeks later along with a proclamation of how much she hated the book. Religious, political and even book preferences can unite and divide. Over time, I have realized it is absolutely more fun to discuss books with those who share the same affections but it can be equally instructive to learn the reasons a certain book is experienced differently among readers. This year, I read a book by a much beloved author, I am in that camp as well but this author’s newest book won’t land on my favorite books of the year as it may be on other readers’ lists. My own personal lens and experiences crept in and try as I did, I couldn’t separate myself. 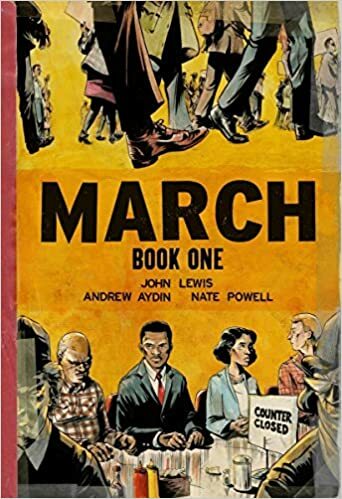 If I was to have a conversation about this book with someone on the opposite side, our differences in opinions could prove awkward initially but I am willing to wager would create connection. We would each learn about the other person and might agree the book is neither good nor bad, simply found each of us at the right or wrong time. Books have an amazing way of exposing us. This is probably the reason I can be hesitant to share my reading lists. With that introduction, I have listed the fiction and non-fiction books that top my list this year. For parts of 2016 and most of 2017, as much as I checked and rechecked out so many of the “important books” from the library, many dealing with racial reconciliation, etc., I have found myself completely tender and raw in those areas. I know there will be a time to revisit these books and many are downloaded and waiting in my Audible library. As I assembled this list, I discovered a pattern, I tended to read to escape into a story very different than the present and when the escapism seemed to be out of balance, I leaned back to books of faith. I learned I really like fantasy and magical realism. I love being swept away by a well-written and thought-out book. I love stories of messy families because don’t we all have messes?! I love memoir and this year deepened my love for a couple of authors. I also saw a pattern of loving books about books. Each title will have a link to provide the book description. I will simply write why I call it a favorite. 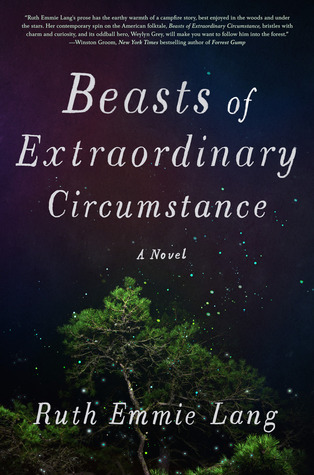 Beast of Extraordinary Circumstance-This is the story of Weylyn Grey, who was raised by wolves and the people he touches. Parts of this book are set in the Wildwood Forest in Oregon. This book swept me away and I finished it while we were at the coast during a storm. I loved every bit of it. 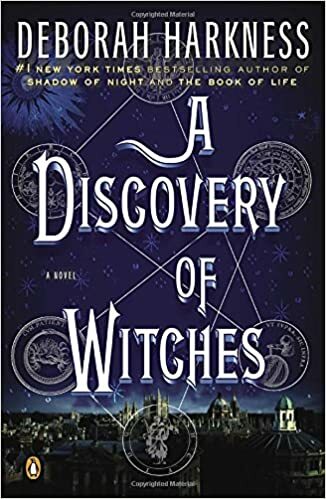 A Discovery of Witches–Most sane people wouldn’t pick a 600 page book to read during that part of the year when their book goals are in jeopardy. This book had been on my radar several times, checked out from the library and I kept hearing praise for it from readers whose taste I respect. This book is the first in a trilogy. I loved that I didn’t know any details before reading this book, so I am not going to venture into plot except to mention, a very sought after book is one of the main ingredients. In my opinion, there was never a lull in this book and difficult to lay aside. It was also one of the cleanest books which to me means an excellent writer. 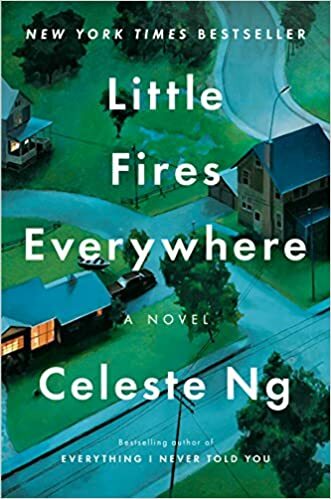 Little Fires Everywhere- Celeste Ng has a gift for writing books that allow me to sink into the story but also think about the choices I make as well. I really appreciate how seamlessly she illustrates family dynamics and relationships. She has written two books and she is batting a thousand with me. 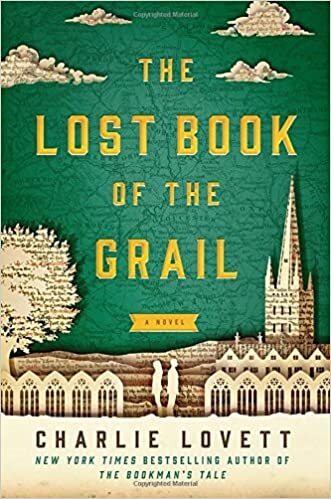 The Lost Book of the Grail- I am a sucker for a book about books, an antiquarian, the liturgy of the hours, an unforeseen love story and is set in libraries and churches with a dash of intrigue. Oh and King Arthur! This book was such a sweet spot for me. It makes me smile just remembering. 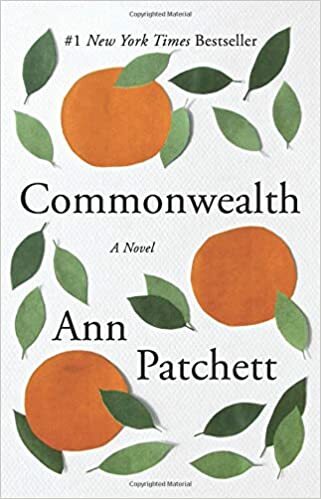 Commonwealth- My sense is that reviews were scattered about Ann Patchett’s latest novel. I really loved this look at a pivotal family event and the trajectory of the children’s and parents’ lives dealing with the aftermath. 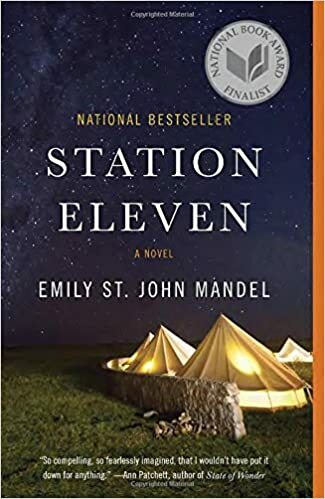 Station Eleven– I read this book at the very beginning of the year, while Portland was submerged in snow. I don’t remember a lot about last Christmas. I tried to ignore a pinched nerve in my neck that rendered me quite useless during all of my planned time off. I was a shadow to my family rotating between sleep and taking pain medicine every four hours. Dare I say, the wintry road conditions were a gift? Station Eleven was the book I read when my pain started to subside. It was also the book that created a long reading slump post-reading. It’s a National Book Award Finalist so I had high expectations and was not disappointed. It’s about King Lear, a traveling symphony and a super flu just for starters. I particularly enjoy books when characters collide in unanticipated ways. This book is perfection to me. share history in an approachable way. 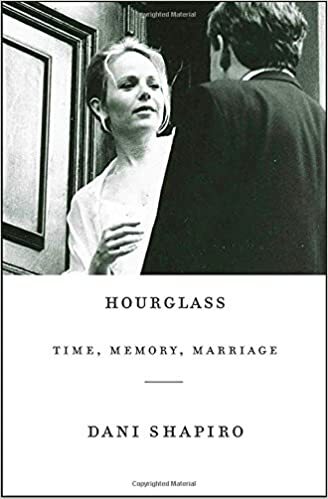 Hourglass-Time, Memory, Marriage- I was so taken by Dani Shapiro’s memoir about marriage. Her words gave me so much to think about how often I remember isolated parts of my life and my marriage. What do I make up or remember falsely? How do I reconcile dreams that linger unfulfilled and life’s directional changes? It’s a short book full of soul-bearing material mixed with parts evoking laughter of recognition. 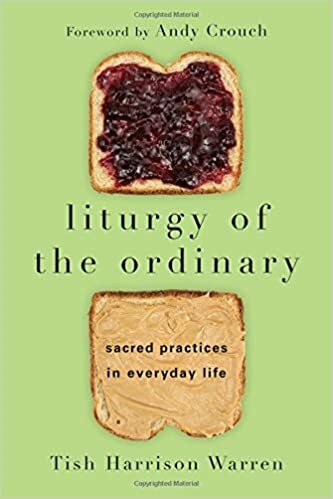 Liturgy of the Ordinary- Take a look at the daily activities of our lives and see them as a liturgy. This small book gave me an appreciation for the smallness of life and the importance of daily rhythms. 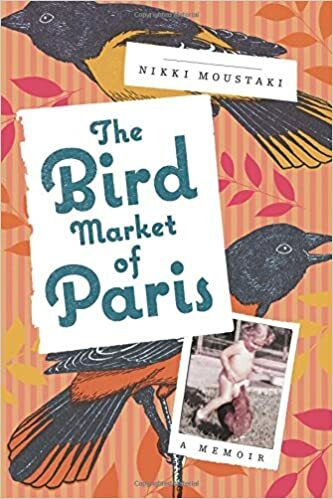 The Book Market of Paris- This is a memoir which read like fiction. I had to keep checking the book jacket to make sure it was indeed non-fiction. This book made me cry because it is such a tenderly written love story between a woman and the grandfather who gave her a love of exotic birds. It is an astonishing story and told with brutal honesty. We have become quite bird watchers at our home and this further heightened my appreciation for birds. 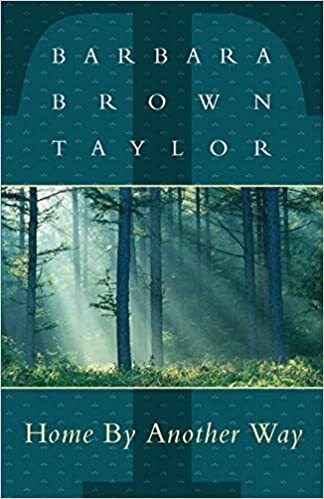 Home by Another Way- Barbara Brown Taylor’s An Altar in the World is one of my all-time favorite books. I have read several of her other books as well. Home by Another Way is a collection of sermons she preached over the course of a church calendar year. My mom and I both read this book together from different places. I believe she read it straight through and then started again. I read according to the calendar, I am also on my second reading so I just finished the Advent readings. All I can say is each piece is exquisite and makes one reflect on familiar passages with new eyes. 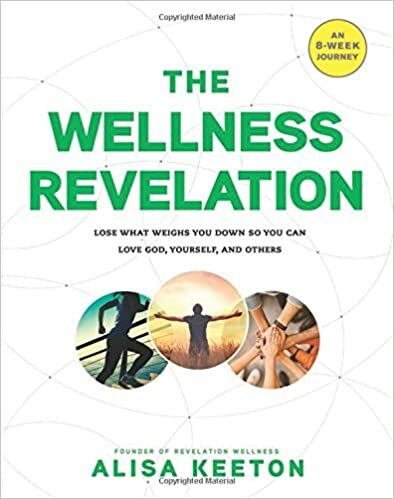 The Wellness Revelation- The book, the podcast, guided workouts, and the Revelation Wellness community has begun to help change my relationship with food and fitness. I have always struggled to find balance in my physical and spiritual life. Either I was exercising hard and felt like I was neglecting time with God or the reverse. In my eyes, it was hard to do both with equal intensity. In my 20’s through the majority of my 40’s until physical ailments plagued me, I loved exercise. I had to have unlimited passes for Jazzercise (dates me, I know), At 29, after having a second baby, I felt I needed a challenge (don’t laugh, okay laugh, it’s justified) so why not train to walk a marathon, which I planned to walk at 30 and 40 and 50. I did walk one at 30 and then in small ways my body started to fail me, a gallbladder needed removing and liver issues came out of the blue. But I kept pushing, at 49, I remember texting a friend over Memorial Day, if perhaps she wanted to walk a half marathon on the 4th of July. We were perhaps walking about 3 miles at the time. But we conquered it and a few weeks later, a bike ride led to the summer of sciatic pain. Then there was disc disease in my neck and chronic shoulder tendonitis and severe arthritis in my knees. Sigh. I started a desk job nearly three years ago and what feels like suddenly my body is a stranger to me. How I feel in my body versus what a mirror reveals doesn’t seem connected. Reading The Wellness Revelation has been such a timely book for me at this stage in my life. One way it has revealed my cycle of obsessing over and neglecting my body. Alisa Keaton’s words have helped me to be grateful for the body I reside in today as I honor it by treating it well*. Truly it feels like the first time fitness and faith have embraced one another and I can finally exhale. So there’s my true confession. I am fighting the urge to press delete but if there is one thing I have learned over the years, there is one person who will read the words above and completely get it and know they are not alone. So the words and feelings are true and will stay. 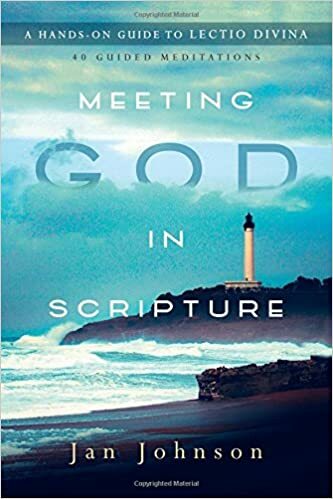 Meeting God in Scripture- For me, this will be an ongoing book to use weekly. Jan Johnson provides 40 guided meditations for deeper scripture reading. I like the opportunity to slow down and reflect on short passages and the questions aid to see the references from a different perspective. A wonderful way to enhance reading of the Bible. One of the reflections helped me determine my word for 2018*, a little time of quiet is always a good thing. I hope to finish The Bookman’s Tale before the clock strikes midnight, it seems like the perfect book and title to end the year! I have learned not to promise how often I will post because I tend to fail. But I definitely am grateful for your readership whenever I press publish!